Have you always dreamed of moving to a foreign paradise and leaving your old life behind? I’d be willing to bet that if you have, money (or lack thereof) is holding you back. 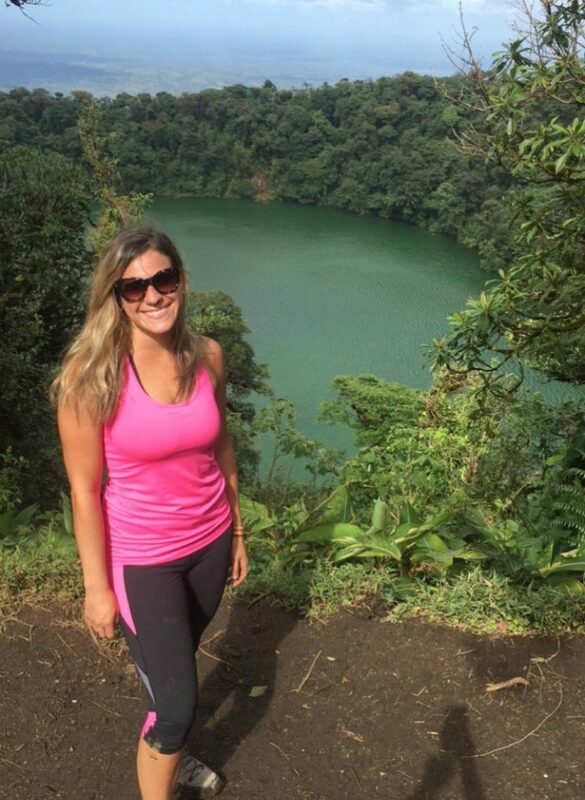 I’m here to tell you that it is definitely possible to live in Costa Rica on a budget. It might seem obvious but buying groceries at local super markets instead of eating out is a huge money saver. Eating out at restaurants adds up quickly! One of the great things about Costa Rica is that groceries are cheap here. Fresh fruit and produce are delicious and readily available, with fruit stands on every corner. You’d be crazy not to take advantage of these tropical delights. 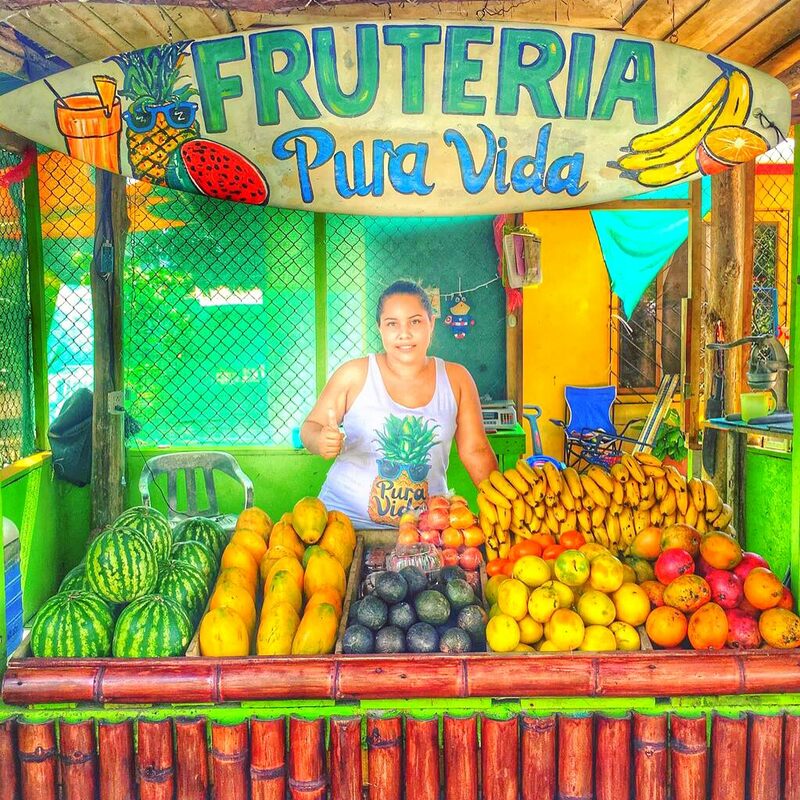 Local fruit stand vendor in Playa Samara, Costa Rica. Buying groceries and cooking at home is also a fun way to try new recipes. When I first came to Costa Rica, I had no idea how to cook. After just one year, I can cook super affordable (and delicious) meals! 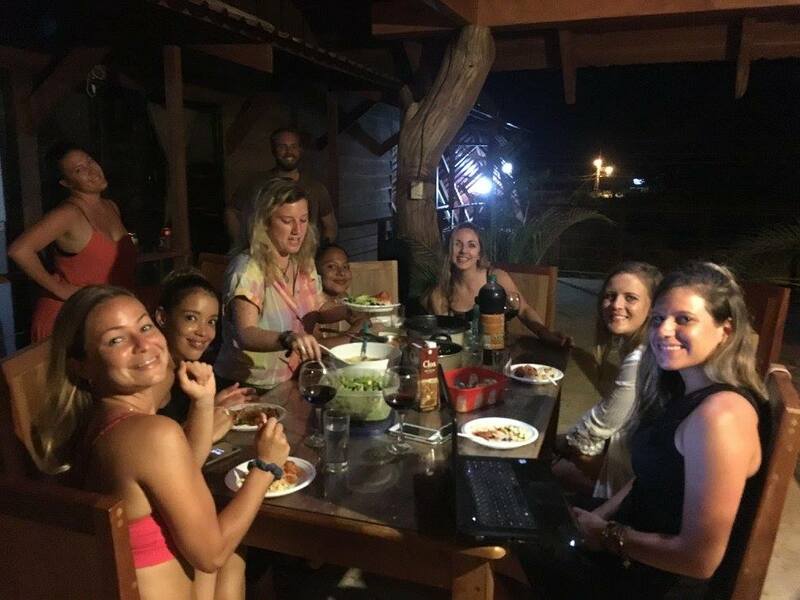 A great way to get to know the new friends you’ll make when you move abroad is organizing potluck dinners. My friends and I try to get together once a week and everyone brings something different. It’s a great way to eat delicious food, spend time with your friends, and still stay on budget. Sharing a potluck dinner with friends. 2. Do things that are free. Enjoy the outdoors! Costa Rica is one of the most beautiful countries in the world. If you live here, it’s easy to get outside and take advantage of the natural beauty. There are countless free and fun outdoor activities at your fingertips. 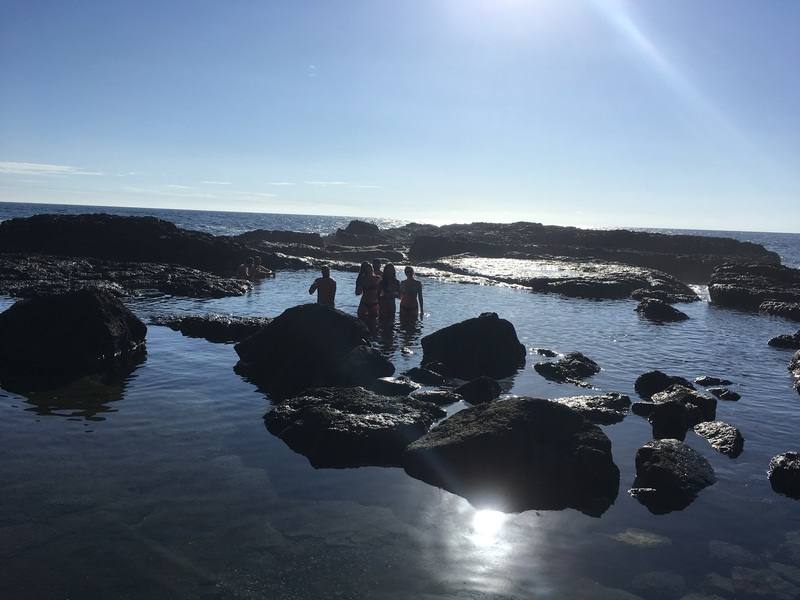 One of the best days I’ve had here was walking along the beach and exploring hidden tide pools with my friends. We spent the whole day sitting in the tide pools and enjoying each other’s company. The best part? We didn’t spend a dime! Spending the day exploring tide pools in Guanacaste. Looking to pick up a new hobby? Try surfing, camping, fishing, or hiking. Go climb that mountain or jump off that waterfall! Costa Rica has the most diverse ecosystem than any other country in the world, so the options are endless. What are you waiting for? 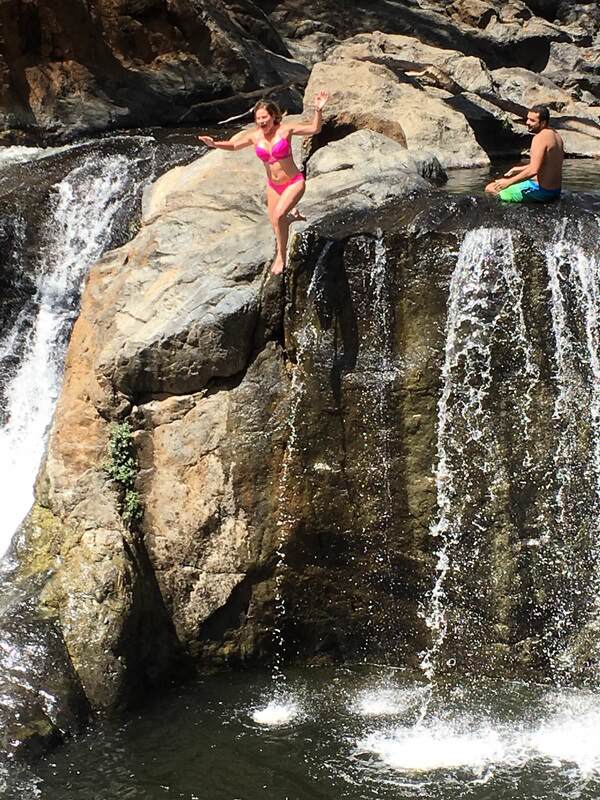 Jumping off a waterfall in Belen, Costa Rica! 3. Pregame before you go out. Let’s be honest: this is an important one. Even if you’re not a huge partyer, you might enjoy the occasional party here or there. Beer in Costa Rica is very cheap, but if you’re anything like me and don’t love beer, ordering mixed drinks at the bars can get quite expensive. The local liquor is a sugar cane liquor also known as cacique or guaro, and it goes great with soda water or any juice. It’s cheap and available at any local supermarket. 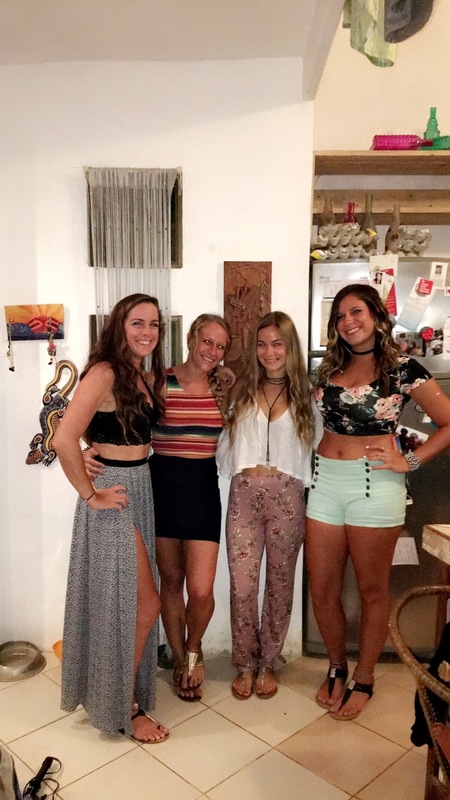 Pre-gaming is a great excuse to have your friends over to listen to music and get ready together before hitting the bars. This way you won’t wake up the next morning wondering where all your money went! Trust me on this one. 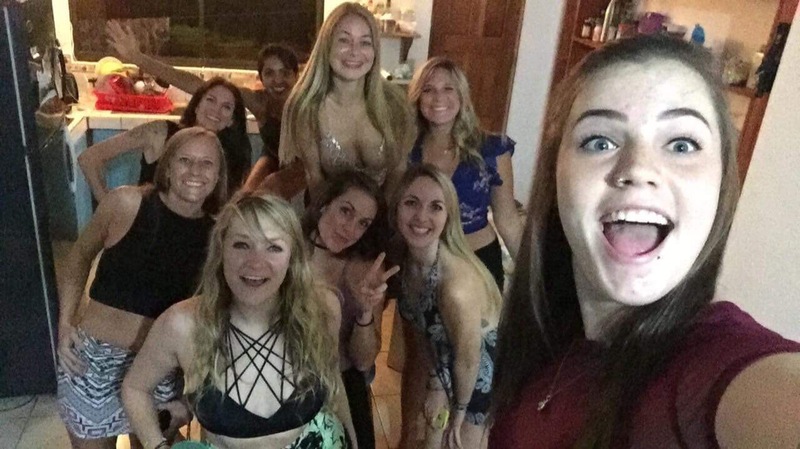 Pregaming with friends before hitting the town. 4. Stop buying new clothes. Give up shopping. This may be harder for some people than others, but if you want to give up your old life and move to paradise, it’s a small sacrifice to make. Some of my friends who have been traveling for a while haven’t bought a new piece of clothing in years. Worried you’ll get sick of your clothes after wearing them all of the time? Tranquilo – host a clothing swap! Get some wine, call your friends, and tell them to bring over some clothes they’re getting tired of. If you have a shirt that you no longer want and your bestie has a black skirt you’ve been dying to wear, no te preocupes because you can make a trade. Fun and free, this is another excuse to get together with your friends and enjoy a nice night together. This probably sounds bizarre and you may have trouble wrapping your head around it, but the barter system is definitely alive and well in Costa Rica. My friends and I use this method all the time. For example, you’ve wanted to take that expensive yoga class for a long time now, but you just don’t have the money for a yoga package. Maybe your yoga teacher wants free English lessons. You give your yoga teacher English lessons, and she gives you yoga classes for free. You both benefit from the deal and no one has to spend any money! Maybe surfing is more your style, but you’re apprehensive about constantly paying for a board rental. A local surf instructor might be willing to offer a free rental in exchange for English lessons. The key to this one is to think about what useful skills you have to offer others. You might be able to barter your way all around town! 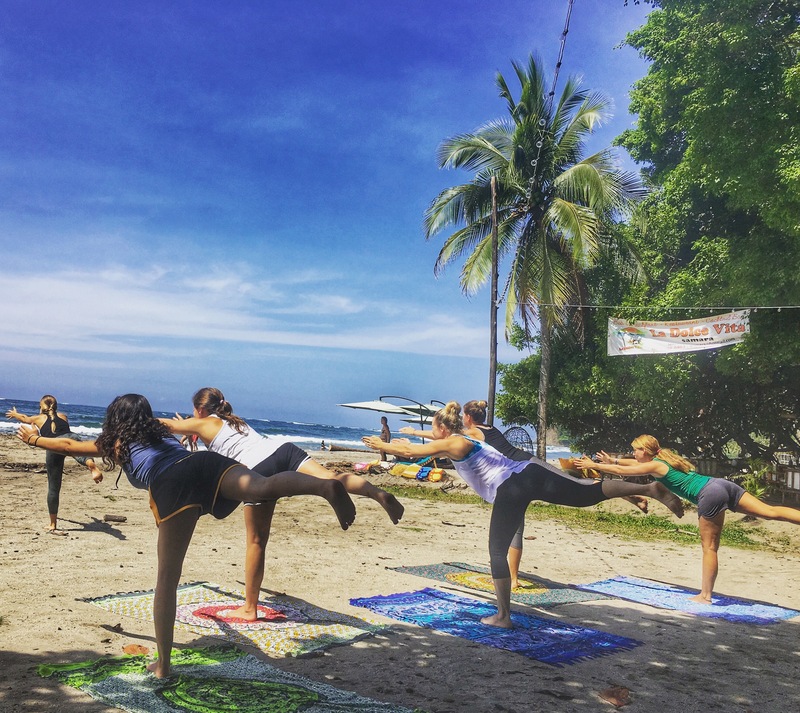 Yoga on beautiful Playa Samara. Still not convinced that you can live here without a lot of money? After becoming Costa Rica TEFL certified, you will have the opportunity to supplement your income with private English lessons. This is a quick and easy way to make some extra pocket money. Teaching private English lessons along with sticking to these few budget tips will no doubt make it possible to leave your old life behind and make the move you’ve always dreamed of. So, what’s stopping you now? 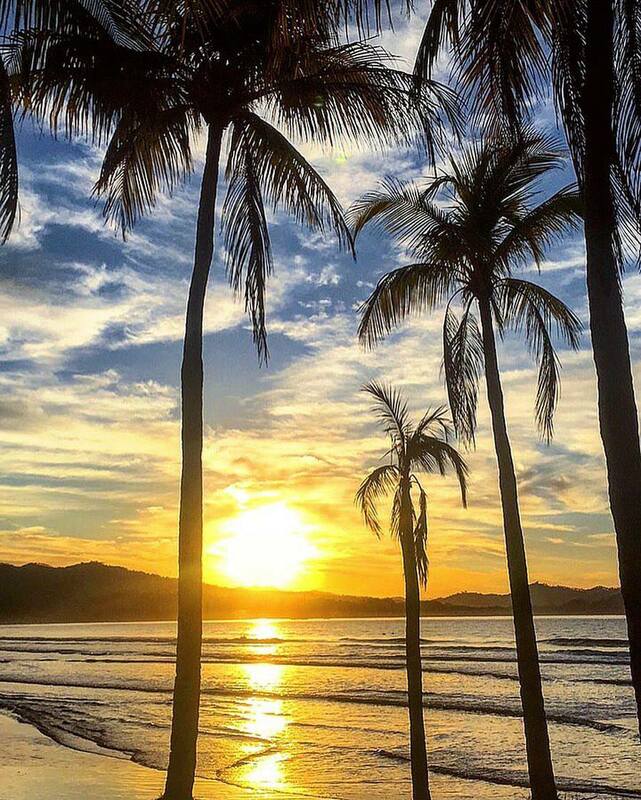 Stunning sunrise over Playa Samara, Costa Rica.